Nye himself already leaves room for the critics to point out how the concept is, essentially, part of an advertising executive’s armoury, the sort an Edward Bernays of foreign affairs might embrace. It co-opts; it suggests indirectness; it is “getting others to want what you want” by shaping “the preferences of others”; it employs popular culture and concepts of political stability. In a vulgar sense, it inspires envy and the need to emulate, stressing desire over substance. 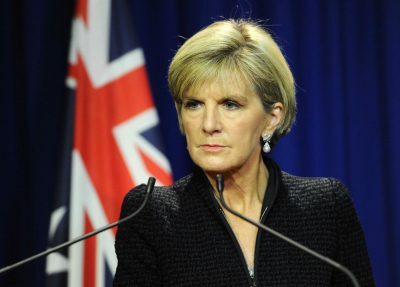 The Australian Department of Trade and Foreign Affairs is currently chewing over soft power, having been tasked with reviewing it by Julie Bishop when she was foreign minister. Australian think tanks have been all praise for its mystical properties. All rely on fictional measurements and surveys such as The Soft Power 30 index, which sounds awfully like a heavily carbonated soft drink. Most recently, Australia’s tetchy Prime Minister Scott Morrison (daggy cap and all), has been busy pushing Australian credentials in the immediate region, throwing $2 billion at a new Australian Infrastructure Financing Facility for the Pacific. Another billion is also sought for Australia’s export financing agency. What is striking in this endeavour is the language of ownership, part proprietary and part imperial. “This is our patch,” Morrison explained to those at Lavarack Barracks in Townsville on Thursday. “This is where we have special responsibilities. We always have, we always will. We have their back, and they have ours.” These are the vagaries of power. “Australia has an abiding interest in a Southwest Pacific that is secure strategically, stable economically and sovereign politically.” Diplomatic posts will be established in Palau, the Marshall Islands, French Polynesia, Niue and the Cook Islands, all newly modelled sets of eyes. In other instances, however, Australian policy makers want to do things on the cheap, showing a characteristic stinginess that praises Australian power and its institutional heft while trimming back services that might supply a “softer” edge. Australia’s broadcasting capacity, notably in the short-wave sense, has diminished. Soft-power, note the propagandists, has been muted. In January 31, 2017, the Australian Broadcasting Corporation ended shortwave broadcasts to the South Pacific, concluding a tradition that had lasted eight decades. “The choice is dumb,” suggested Graeme Dobbell, “because it misunderstands the central role radio still plays in the South Pacific.” This has left the problematic question open as to what other Australian suppliers – of the commercial variety – will do to replace the content of the national broadcaster. Most of all, and most critically, proponents of soft power in Australia fear a crowding, and crowding out threat: that of China, which operates as the putative cuckoo keen on pushing out the chicks of others. This, aligned to the issue of creating more debt for the region, suggests potential exhaustion in the region. Australia, ever sluggish and drugged by presumptions of allegiance from its Pacific neighbours (our backyard! ), has previously ignored the increasingly important role Beijing is playing with the island states. A growing, even paranoid interest is now being shown towards the presence of Chinese aid and funded projects in the region. There are also measures, tied to US strategic interests, of frustrating the efforts of such Chinese giants as Huawei, from achieving a greater measure of influence. Morrison’s cavalier volunteering of taxpayer funded projects to lure Pacific neighbours away from Beijing’s “few-strings attached” load and aid program is something that will be looked at with enthusiasm if for no other reason that double dipping will be on offer. From Papua New Guinea to Fiji, the options to milk the greed of powers have never been better, whatever nonsense soft power might entail. The problem of debt, however, will remain the lingering nuisance at the feast.